Description: KEAR Campus School provides education for secondary aged children with social, emotional and behavioural needs, on full and part time placements. 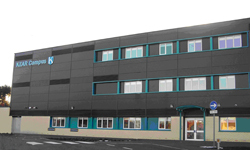 KEAR Campus also includes four secondary support bases located at Cathkin High, Hamilton Grammar, Lesmahagow High and St Andrews and St Brides High. It also provides support to the ASN bases at Victoria Falls and Whithorn.